Lino Tagliapietra’s “Mandara” series is one of the Maestro’s most complex. In the “Mandaras,” it is as if we are looking at a piece within a piece. What this means for the glass art collector is that instead of viewing two layers (the front and back) of glass we are viewing four layers. 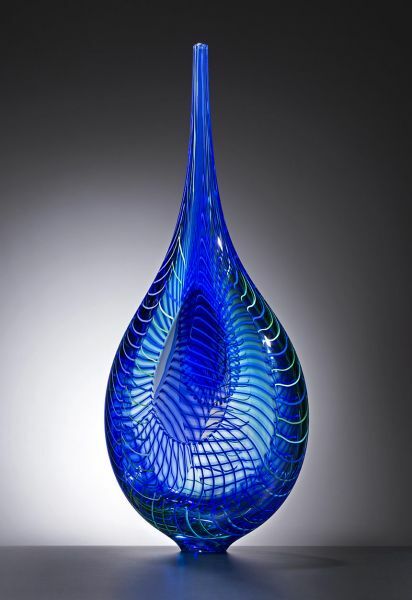 This multiple layering of glass typically means that we are seeing four different layers of cane work (the thin thread-like lines in the piece) at a time, creating a myriad of overlapping patterns.